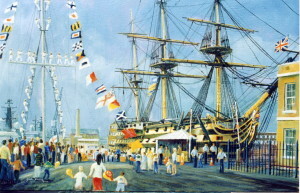 Nelson and Trafalgar Collection, the Nelson Touch? “Often the most dangerous course is the best” ~ Horatio Nelson. Nelson did not as popularly thought sail straight at the French line, the truth is more complex, more interesting and Nelson was more clever than that. 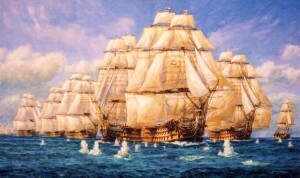 Even less well know, his opponent, Admiral (Pierre Charles Jean Baptiste Silvestre de) Villeneuve, who had previously fought Nelson’s fleet at the battle of the Nile, anticipated Nelson’s tactics. 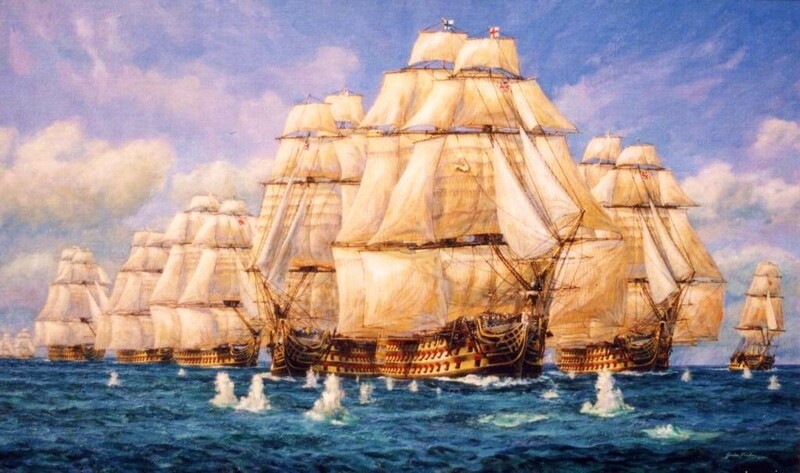 “It is upon the Navy under the Providence of God that the safety, honour and welfare of this realm do chiefly depend” – from the Articles of War (1652) read weekly to all Royal Navy ships crews for 300 years. … souvenirs of a great week and a fine spirited painting.